Composed by Rainer Fabich. 21st Century, Movies, TV, Repertoire, World. Score. 18 pages. Published by Fajora Music (S0.20464). 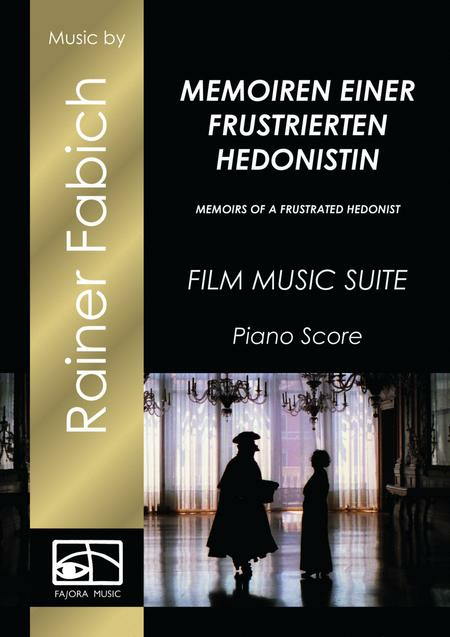 Original music for piano solo from the awarded documentary film "Memoirs of a frustrated hedonist" (Memoiren einer frustrierten Hedonistin), directed by Claas Danielsen.Portrait of the russian art historian Lada Nikolenko who spent her eventful life in Leningrad, New York, Venice and Munich.The score includes 5 movements:1. Memoirs of a frustrated hedonist - Main theme2. Hedonae`s world of dreams3. Leningrad4. At the Eremitage5. Finale: Lada`s themeDuration: ca. 8 minutes, 10 pages. 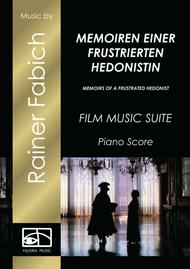 For film music other concerts.From CD: Rainer Fabich: Piano Pur, solo-piano played by Michaela PuehnFilm Awards: Golden Hugo, Chicago/USA 1995, Ourense/Spain 1996, Bornholm Danmark 1996, Odivelas Portugal 1995, Lübeck/Nordische Filmtage 1995More informations www.rainer-fabich.de.